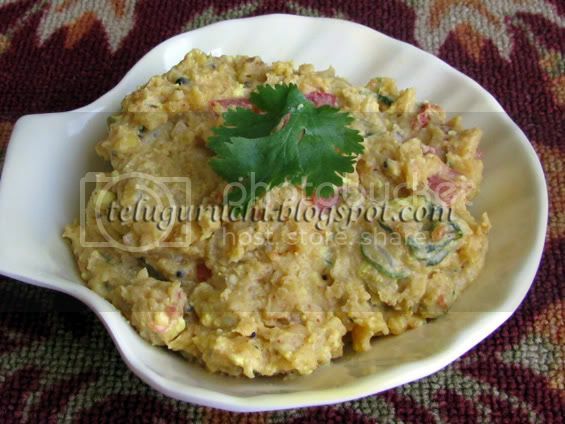 This is a very easy and yummy curry made with besan. Whenever I was out of vegetables, I make this curry to go with chapathis. Mix together besan + chili powder + salt. Pour buttermilk and mix well. The batter should be little thin. In a pan, heat oil and add mustard seeds. When they splutter, add cumin seeds + both dals and fry until the dals turn golden brown in color. Then add curry leaves + onions + tomatoes and sauté well until the veggies are cooked well. Also add cilantro and mix well. Finally add the prepared batter to the pan and keep stirring until the mixture thickens and besan loses its raw smell. Keep the flame on low. Turn off the flame and transfer the curry to a serving bowl. Enjoy this yummy curry with chapathis. This curry tastes so good when still hot. This is new to me!But it looks very tempting, Uma! Very new to me too..looks delicious..
Oh wow...never heard of this curry but it looks yummy! Perfect for rotis. Never tried this before, sounds delicious. Thats an interesting recipe. Looks very tempting. Nice click...new one for me..looks delicious..
New and delicious side dish. I never thought besan could be a main ingred! looks nice..it is a fav at my home too. Thx for visiting my blog and for those lovely comments!...dish looks so tempting and yummy!...glad to follow you. hoping to keep in touch! Sounds interesting and very new to me Uma! Should be YumM! 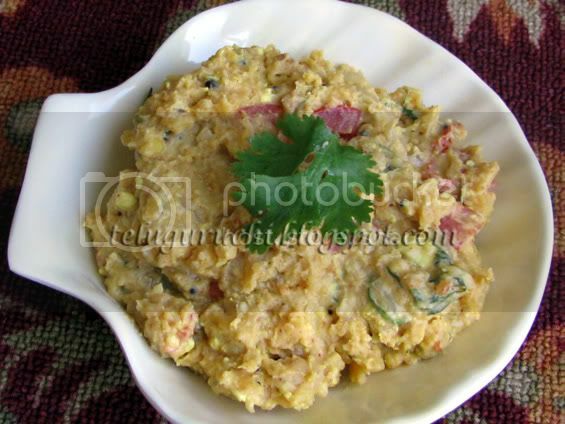 Amma made omelette with the besan very similar to this preparation. Should try this curry also. Never tried this before at home , but I read this in Saritha's site. Curry looks delicious and nice recipe! I don't think i have ever had this, indeed when there is not vegetable this is a real handy dish to make. This is new to me....sound so easy to make. I make bombay chutney similar to this. But the consistency is runny. Yours look interesting. New to me and delicious. Have never thought of making curry with besan. Looks easy and equally delicious! yummmmmmmmmmmmm curry looks very tempting and delicious.you can visit my blog and give ur comments. Wow thats an interesting and smart idea. Love your Besan curry. Many a times it happens we run out of vegetables and now we can try this. Looks delicious. New dish to me, have to try one day!! Thanks. New dish to me..looks easy and yummy!